We were contacted by a family in Durbanville to provide them with a quote for: Retrofit electric geyser to solar. During the onsite evaluation we noticed that certain standards needed to be implemented and that the geyser was also faulty. When discussing with the owner, he confirmed that the hot water from their geyser was brown although the water running from the cold tap was clear. We checked with the geyser supplier, Kwikot, who confirmed that the geyser was still under warrantee. As standards change over time the galvanized drip tray needed to be replaced by a plastic drip tray and a stopcock needed to be installed. We provided our client with the abovementioned information and Kwikot therefore came prepared to replace the geyser, install the stopcock & the correct drip tray & outlet. This was done in a very short timeframe. Please note that the initial installation was not done by Kwikot or ourselves. Kwikot did the abovementioned work as part of honouring their geyser warrantee as the supplier. 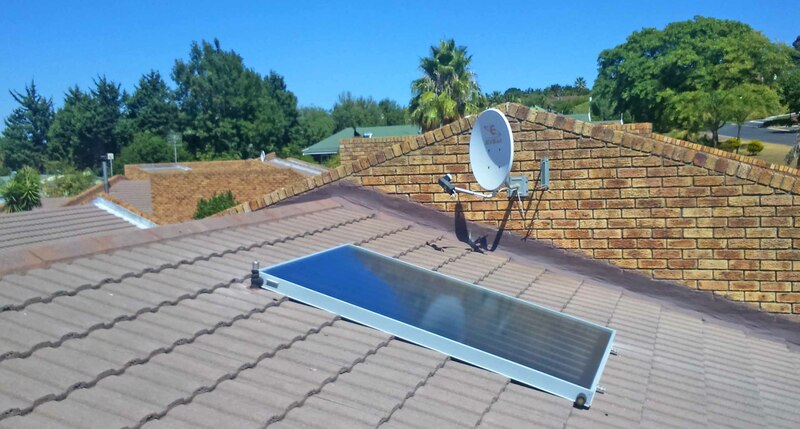 Our client then accepted our quotation to retrofit their new Kwikot electrical geyser with solar. This entry was posted in Geyser water heating and tagged Electricity savings, energy efficiency, Environmental friendly, High standards and quality with solar geyser installations, Low carbon footprint, Lower electricity consumption, Meeting and exceeding the standards with solar geyser installations, Reduce electricity consumption, Service a solar geyser system in Kuils River, service solar geyser system, Service your solar geyser system and tagged Coal savings, solar geyser, Solar geyser installation in Kuils River, Which company installs solar geysers in the Western Cape, Who service solar geysers?, Xstream geyser on August 5, 2016 by Hannetjie.